Make sure to take part in any of these fun and free activities to do in Door County, WI. Watch a sunset, either by kayak or pull over if you are driving. Door County has some of the best sunsets! Eat adventurous! Ever had Goat milk gelato? There is a place for that, see if you can find it, hint…It’s NOT Al Johnsons! Get on the water By Kayak, Sailboat or float. 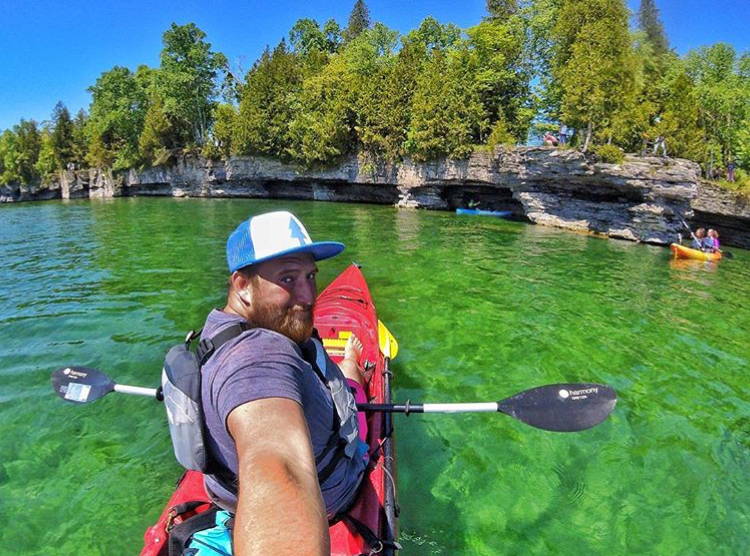 Preferably one of our Door County Tours: Cave Point County Park Kayaking Tour, or the Door Bluff Shipwreck Tour or our good friends over at sail door county. Capture something with your camera. Take nothing but photos. 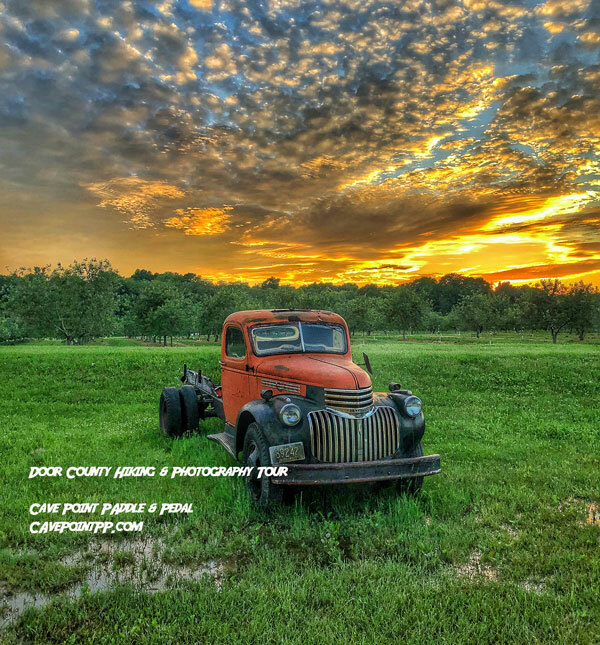 Join our Door County Hiking & Photography tour if you want to learn something new! 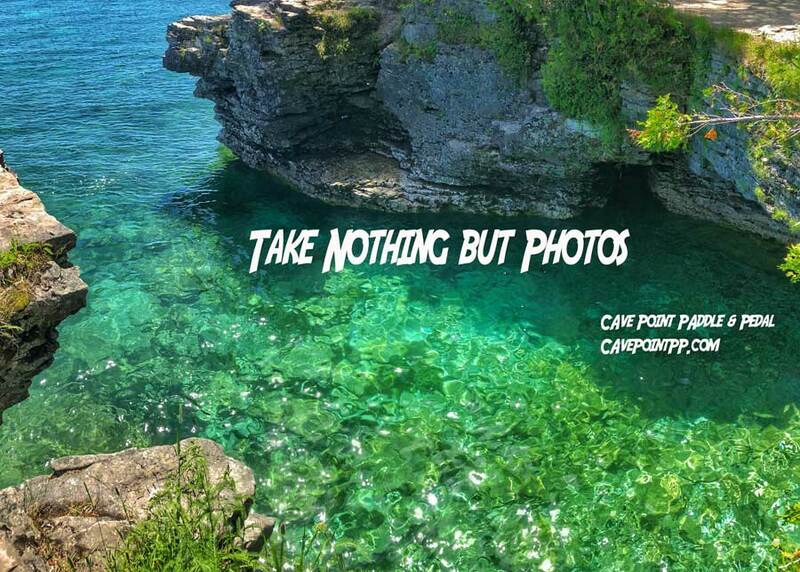 Cliff Jumping at Cave Point County Park… Look before you leap, the water levels are constantly changing every year and make sure the water won’t give you cold shock or hypothermia. The water temperature can change to frigid in the middle of August with 3 days of west wind. Find the secret lookout spot at Door Bluff Headlands Park up in Garrett Bay near Ellison Bay… Bonus, get there when the sun is setting. We love the water, so find some fun docks to jump off of and pretend to be 15 again! 7 Reasons why Newport State Park is the best park in Door County!